Kissimmee is next door to the exciting attractions and theme parks of Orlando, FL and has many offerings of its own. 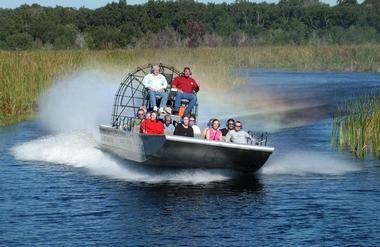 Thrill-seekers can go on helicopter rides, jet ski, zip-line, fly warplanes, and speed across the water in airboats. Conservation lovers will enjoy Gatorland or kayaking on Shingle Creek or Lake Toho to see gators in the wild. There is much human history in the area and it can be explored in a variety of museums, a pioneer village, or on cultural tours. The Museum of Military History pays tribute to those who have served the United States in warfare; its prime objective is to help visitors understand what is was like to be in the armed forces in times of conflict. It covers World Wars I and II, the American Civil War, the Korean and Vietnam wars, and the conflicts in the Gulf, Iraq, and Afghanistan. It has exhibits of military artifacts, including uniforms, weapons, and vehicles as well as plenty of photographs and oral and written accounts of time spent overseas serving the country. The museum is a new venture that opened in 2012 and is still growing; its exhibits are increasing as people donate funds and artifacts to the museum. 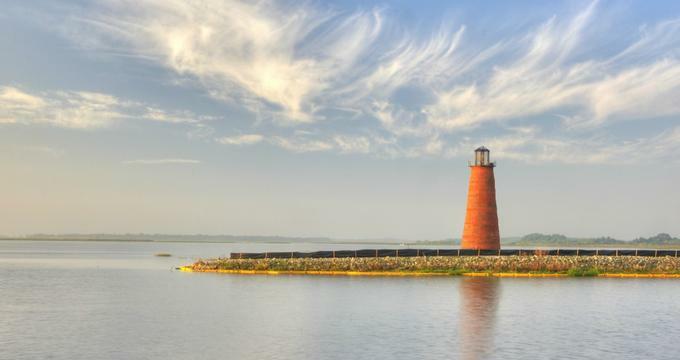 Lake Tohopekaliga, commonly known as Lake Toho, derives its name from the Seminole Indian word meaning “we shall gather here together." Lake Toho is world renowned for the excellence of its bass fishing and many marinas line the shore of this huge (22,000-acre) lake. 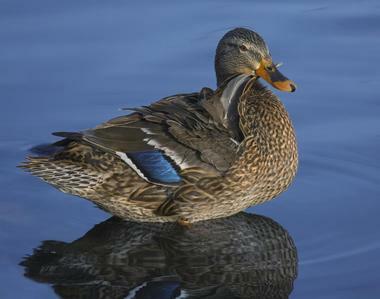 There is also a vast array of waterfowl here as well as gators and otters. On the north side of the lake, Lakefront Park has a scenic walking trail open to pedestrian traffic, chairs, sun loungers, barbecues, restrooms, and picnic shelters. It also has a children's playground and a splash area for toddlers and preschoolers. Boggy Creek Airboat Rides in Kissimmee, Florida, brings visitors into the cypress-filled wetlands and swamps that mark the headwaters of the Everglades. On seventeen-passenger U.S. Coast Guard approved airboats, the excursions allow riders a view of native Florida alligators, turtles, and an astonishing variety of bird life. Boggy Creek Airboat Rides offers half-hour and hour-long day trips, sunset tours, and 45-minute long nighttime voyages that guarantee alligator sightings. At their boat launch on Southport Road visitors may dine at the new BBQ restaurant, have a close-up look at reptiles in the gator enclosure, and walk through an informative Native American village that demonstrates how early Americans hunted, cooked, and lived. 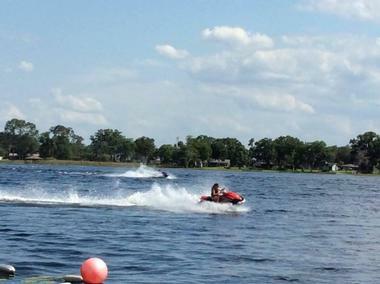 Extreme Jet Ski of Orlando is actually located on the shores of a large lake in Kissimmee, Florida. This company is renowned for its excellent jet ski rentals and friendly instruction. The company rents out Yamaha, Seadoo, and Honda jet skis; all of them are extremely fast, but the large lake gives riders plenty of room to accelerate safely. Riders will be thrilled by the speed with which they can zoom across the surface of the large, calm lake. Extreme Jet Ski also rents out paddle boats, fishing boats, kayaks, and fishing equipment for use on the lake. Fuel is free, and the friendly staff will make sure that every visitor has a wonderful experience. 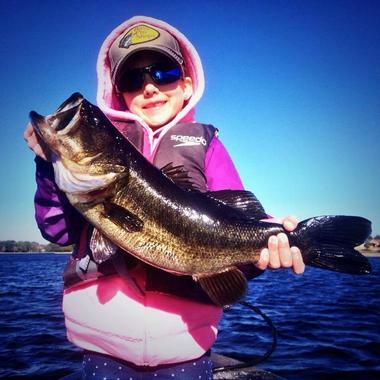 Fish Orlando Trophy Bass Guide Service is owned and operated by a former marine and tournament angler with over 30 years of experience bass fishing in Kissimmee area lakes and rivers. His expeditions go out on Lake Toho, Lake Harris, and the St. Johns River in a tournament bass boat. Participants can use live bait or artificial lures and the knowledgeable tour guides will help each visitor learn proven bass fishing techniques. Participants must have a Florida fishing license. The guide service offers morning, afternoon, and all-day fishing trips, with bait and tackle provided, and a money-back guarantee if no fish are caught. Sunscreen, hats, and polarized sunglasses are strongly recommended for all participants. 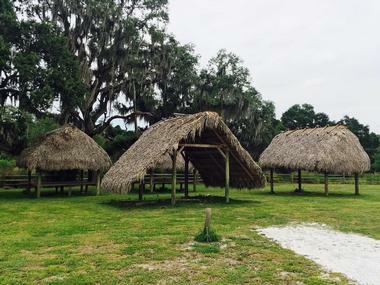 Florida Cultural Tours take visitors to parts of Central Florida that most tourists don't see. Far from the theme parks that attract millions, these tours are for small groups. The Scenic Gastronomical Dine Around Tour takes visitors to three of Orlando's best restaurants, with on-board drinks on the tour bus. On the historical Winter Park Tour, participants take a pontoon boat ride through a chain of lakes to Florida's first planned community. On this tour, visitors can wander through the Charles Hosmer Morse Museum, home to the largest collection of works by Louis Tiffany, and stroll through the botanical gardens at the town's center. The Orlando African-American Tour takes in two museums, a drive through historic Eatonville, and includes a soul food lunch. There is also a winery tour that goes to the Lakeridge Winery in the citrus-growing belt of Central Florida. Gatorland is a wildlife preserve and theme park in Orlando, Florida, famous for its conservation efforts and for its four exceedingly rare leucistic “white" alligators. Thousands of alligators and crocodiles reside in a natural breeding marsh, which can be viewed from a boardwalk or from observation towers. The park offers educational programs, reptile shows, a petting zoo, and an aviary. The newest additions to the park are zip-lines, one 1,200 feet long that takes riders over a pool of alligators and the other a little shorter but accessible to guests with mobility issues. 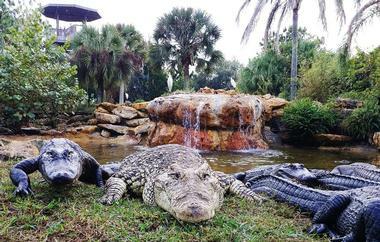 Special programs include opportunities to feed the alligators in the breeding marsh, venture out onto the boardwalk at night, and pose with 8-foot alligators in the arena. Green Meadows Petting Farm is a fun and educational hands-on experience for children designed to bring them into contact with farm animals. With over 300 animals, the petting farm is sure to delight every visitor, no matter what kind of animal they like best. The farm has pigs, cows, rabbits, donkeys, sheep, goats, chickens, turkeys, ducks, and even an Asian water buffalo. The park is not limited to petting animals: There is a train ride on a narrow-gauge railway, tractor-pulled hayrides, and the chance to try milking a cow. There are picnic areas for families who choose to bring their own lunches and a general store selling drinks and snacks. 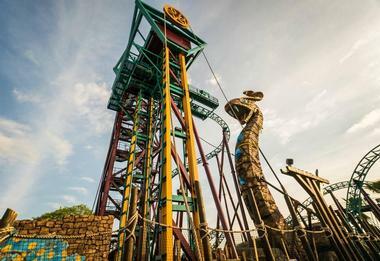 Busch Gardens Tampa is one of the most popular theme parks in the United States, with visitors traveling from all over the world to experience many thrilling rollercoaster rides, encounters with animals, and child-friendly fun. Busch Gardens is dedicated to animal conservation across the globe, and the animals in the park are meticulously cared for and are part of the park's breeding and education initiatives. 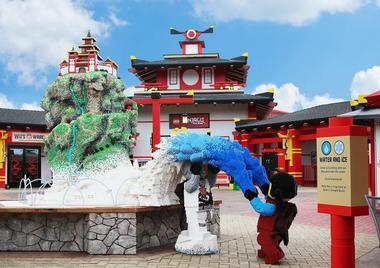 Legoland in Winter Haven, Florida, was built on the former site of Cypress Gardens and is a Lego-themed park designed for families with children aged 2 to 12. There are more than 50 family-friendly rides, attractions, shows, and restaurants as well as a botanical garden and a newly erected hotel. Family rollercoasters and children's rides, including a two-story carousel, are spread throughout the park and there are many opportunities for youngsters to use their building skills to create Lego masterpieces. The park has lifelike Lego recreations of New York City, Las Vegas, Washington, D.C., and many Florida landmarks. Legoland Florida has a waterpark that was created with families in mind, with a gentle wave pool, waterslides, a lazy river, and toddler and preschooler fun zones. 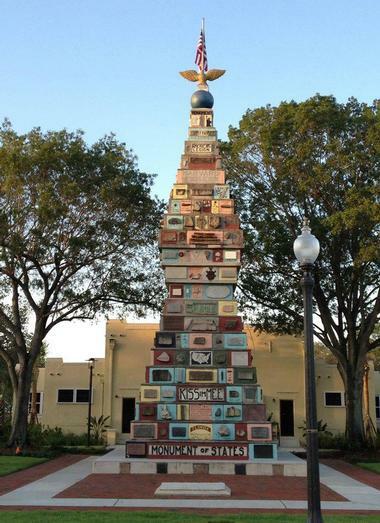 In Kissimmee's Lakefront Park stands an unusual monument known as the Monument of States. After the attack on Pearl Harbor in World War II, local doctor Charles Bressler-Pettis decided that the area needed a symbol of American Unity. He wrote to the governor of every state (there were only 48 states at the time), asking them to send local rocks to him. When he received the rocks, he made a tower, embedding the rocks into garish concrete slabs and labelled each rock with its origins – which state it was from and who had sent it. Over the years, time took its toll on the monument, but it was repainted and revitalized in 2001 by local business owners and it is certainly worth a trip to Lakefront Park to see this curious cairn. 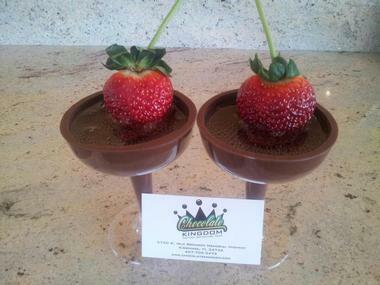 Chocolate Kingdom is a chocolate factory offering guided tours that, through videos and informative tour guides, introduce visitors to the chocolate making process from cacao bean to finished product. Tours last approximately an hour and include samples along each stage of the chocolate making adventure, beginning with a walk through a cacao bean greenhouse. Chocolate Kingdom has a chocolate museum, a gift shop offering both cacao beans and chocolate, and for an extra charge will make you a customized chocolate bar. Group tours can be accommodated and birthday parties here involve a brief factory tour and making your own chocolate pizza and chocolate lollipop. 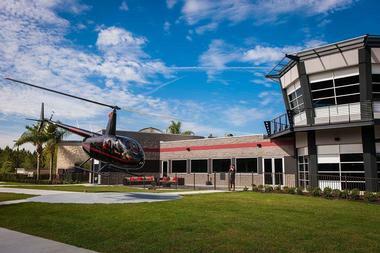 Orlando Helicopter Tours have two locations in Kissimmee, Florida, from which visitors can fly over all the exciting attractions in Orlando. In a Bell Jet Ranger helicopter, passengers can look down upon Epcot, the Wizarding World of Harry Potter, SeaWorld, Downtown Disney, Animal Kingdom, local resorts, and the Butler chain of lakes. 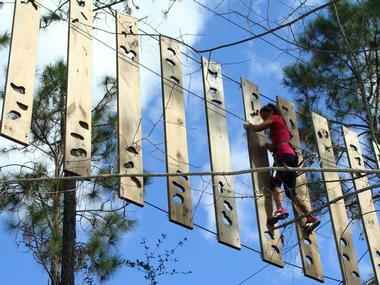 Orlando Tree Trek Adventure Park is an exciting adventure high above the ground. The aerial excitement begins and ends with zip-lining and includes nets, Tarzan-style swings, a wobbly suspension bridge, climbing walls, and obstacles such as swinging logs. The course gets progressively more difficult before culminating in a long zip-line that riders can use as many times as they like. Visitors can also choose to zip-line only, without the other aerial options. Magnetic harnesses make the entire course safe for everyone. There are packages for adults as well as special courses designed for teens and for children aged 7 to 11. Osceola Arts is Central Florida's thriving arts center, offering area residents the chance to participate in and view the artistic talents of the local community. There are two theaters in the Osceola Arts building, a larger one where Central Florida actors put on Broadway-style shows and a smaller studio theater where modern and often avant-garde plays are performed. 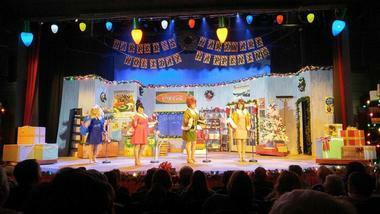 There are acting classes for teens and adults in conjunction with the theater. Osceola Arts offers monthly fine art exhibits with works by local artists as well as classes and workshops in drawing, pottery, painting, and other media. There is a dazzling array of programs for youth, including a young actors company, summer camps, art classes, homeschool classes, and a youth orchestra. The Osceola Pioneer Village is a permanent collection of authentic late 19th century buildings from Osceola County, brought together to make this village and to show how early pioneers lived in the area. There is a blacksmith's shop with a working forge and a citrus packing house from 1890 in which early citrus farmers packaged their crops for distribution. The Tyson House is a one-room log shanty typical of the homes of the average farmer; it dates from 1892 and was inhabited by James C. Tyson, his wife, and their 11 children. The Lanier Crackle House is a better class of architecture and has a central breezeway that acted as natural air-conditioning for the home. The pioneer village is adjacent to a Seminole village with its open-sided homes and a nature preserve kept in a manner consistent with late 19th century settlements. 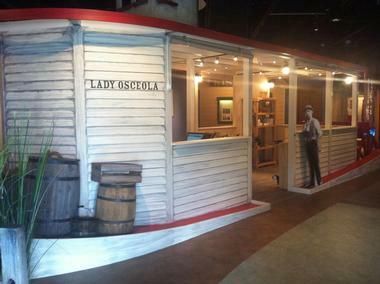 Visitors to Osceola County will find the welcome center a handy resource. There are maps, guides, coupons, and a small gift shop here, with knowledgeable staff to help you find your way. In the same building is the history museum, which consists of four dioramas, each displaying one of the different habitats of Osceola County: Swamplands, pine flatwoods, oak hammock, and lakefront. The dioramas help to explain how history and nature are tied together and each includes interactive displays and a scavenger hunt. From the welcome center, there is a 1.6-mile trail leading to the Historical Society's Pioneer Village. Spirit of the Swamp Airboat Tours is the best way to see the swamps and marshes that make up the headwaters of the Florida Everglades and to see the wildlife that inhabits the area. 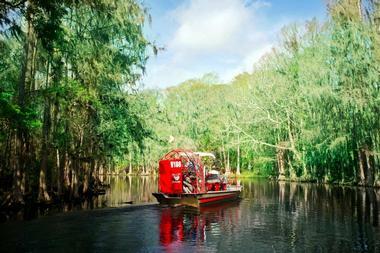 Spirit of the Swamp offers family-friendly tours on small, six-passenger boats and has 60-minute, 90-minute, and 2-hour excursions. Everyone in the boat wears a headset with a microphone so that all can hear the guide and have the chance to ask questions. Private trips are available for no extra charge. Among the wildlife that visitors see on these tours are adult and juvenile alligators, turtles, frogs, armadillos, and a great variety of birds such as herons, egrets, ibis, bald eagles, and osprey. Advance reservation is required. Stallion 51 is a warplane lover's dream: It offers rides in dual cockpit/dual control P-51 Mustangs and T-6 Texans, allowing passengers not only the opportunity to fly in a heritage aircraft but also to help fly it. The owners and staff of Stallion 51 are experts in historical aircraft and aviation and have warbirds that they show at airshows all across North America. 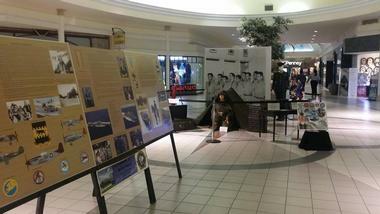 People looking for flight certification and training in WWII aircraft can get instruction and credentials at Stallion 51. Visitors not wishing to fly can enjoy watching the aircraft circle the airfields and get a close-up look at the warplanes in the hangars. Shingle Creek comprises part of the headwaters of the Florida Everglades; it is a pristine cypress swamp, serene and beautiful. 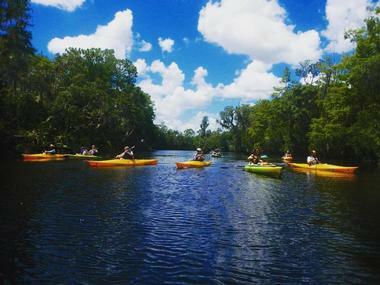 The Paddling Center at Shingle Creek offers guided tours and equipment rental; visitors may rent single or tandem kayaks, canoes, or stand-up paddleboards. All tours offered are given by guides with CPR and first aid training as well as a profound knowledge of the ecosystems of the Florida swamps. All tours include instruction, snacks and drinks, and life jackets. The 2-hour Cypress Forest Guided Eco-Tour takes kayakers into old-growth cypress swamps, while the 2.5-hour Ecology Transition Tour extends its paddling and crosses into Lake Toho. There is a 4.5-hour sea kayak tour to Makinson Island, which is designed to enhance already present kayaking skills. Visitors looking to learn how to use a stand-up paddleboard can join the 1.5-hour tour of the swamp, which includes instruction. Advance reservation is required. 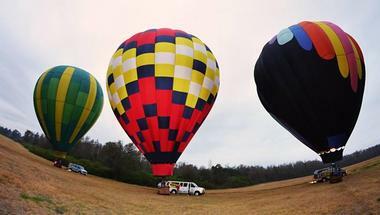 Thompson Aire is owned by Jeff Thompson, a Kissimmee native who has been flying hot-air balloons for nearly 40 years. The company offers sunrise flights seven days a week over the Kissimmee and Orlando area, while Captain Thompson explains what you're seeing from the air. Unlike other commercial balloon companies that squash up to 20 people into one gondola, rides with Thompson Aire allow only 4 to 6 persons per flight. All rides include a full buffet breakfast in a restaurant with an omelet chef standing nearby for orders. The balloons are safe, comfortable, have seats, and represent the most natural and serene method of seeing the beauty of Central Florida. 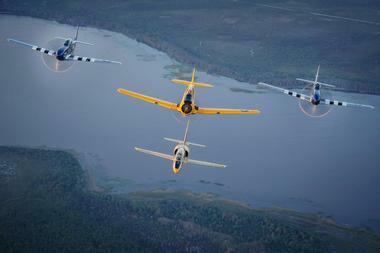 Warbird Adventures gives heritage aircraft lovers the chance to fly one of the most historically significant warplanes: The T-6 Texan. 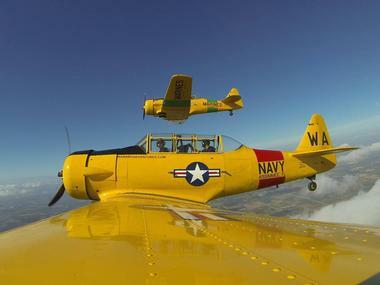 It is estimated that over 70% of Allied pilots in World War II learned to fly in a T-6 Texan, so it is a perfect plane for a first flight, and for a first time at the controls. Would-be aviators are put in the front seat of the Texan, with a certified pilot manning the rear controls. It is the choice of the rider to have a straight and level flight or to try daring aerobatic manoeuvers. Flights are available in increments of 15 minutes. On the ground, there is a warbird museum containing 22 aircraft as well as engines, guns, and artifacts. Zero Emission Tours offers Segway tours of the Disney planned community of Celebration. The 70-minute tour of Celebration includes pre-trip instruction and friendly and knowledgeable guides. Each participant wears a safety helmet, carries a walkie-talkie, and is able to explore the villages, nature trails, and the native wildlife of this unique planned community on a Segway traveling between 10 and 12 mph. Zero Emission Tours is the only tour operator licensed in Celebration, so a trip here is unique. Advance reservations are suggested as the tours are very popular. 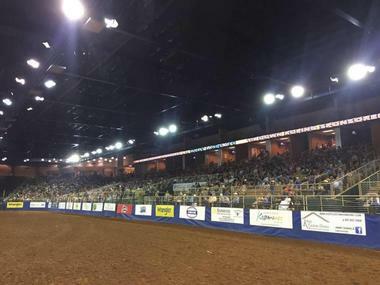 Riders are permitted to stop and shop or to grab an ice cream cone or a bite to eat in one of Celebration's excellent restaurants.